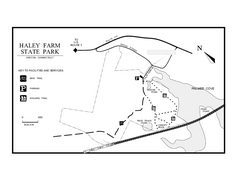 Trail map of Haley Farm State Park in Connecticut. 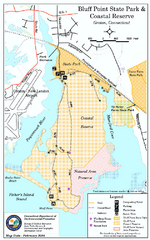 Trail map for Bluff Point State Park and Coastal Reserve. 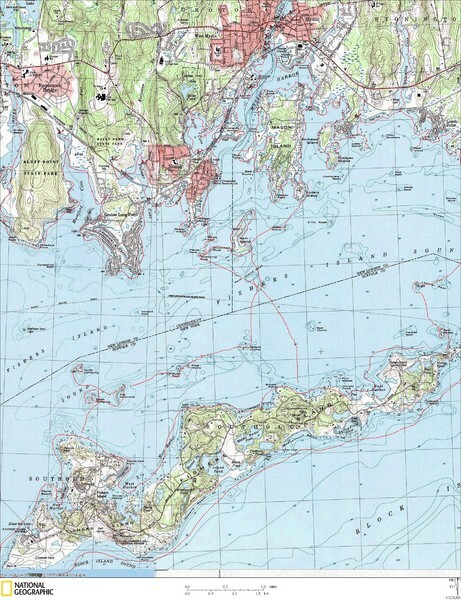 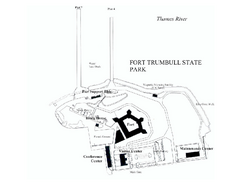 Map of Fort Trumbull State Park in Connecticut. 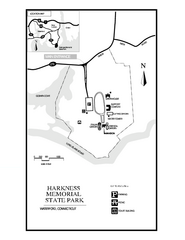 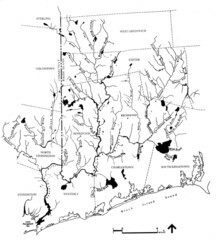 Trail map of Harkness Memorial State Park in Connecticut. 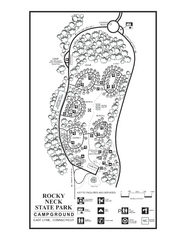 Campground map of Rocky Neck State Park in Connecticut.